There is a lot of buzz in the ostomy world regarding exercise and fitness helped along by the amazing Zoey Wright placing second in the Pure Elite Pro show recently. Not to mention she will be in the finals VERY shortly, I know you can do it! But you don’t have to be a pro athlete or a fitness fanatic to enjoy exercise with an ostomy. I definitely wasn’t, but I was a keen runner before the pouchitis flared so badly I had to stop, but don’t get me wrong I wasn’t the best or in any way fast but I was in competition with myself. Like they say a mile is a mile no matter how long it takes. I also used to do body weight exercises and “actual” weights, but my heart will always be in the running. 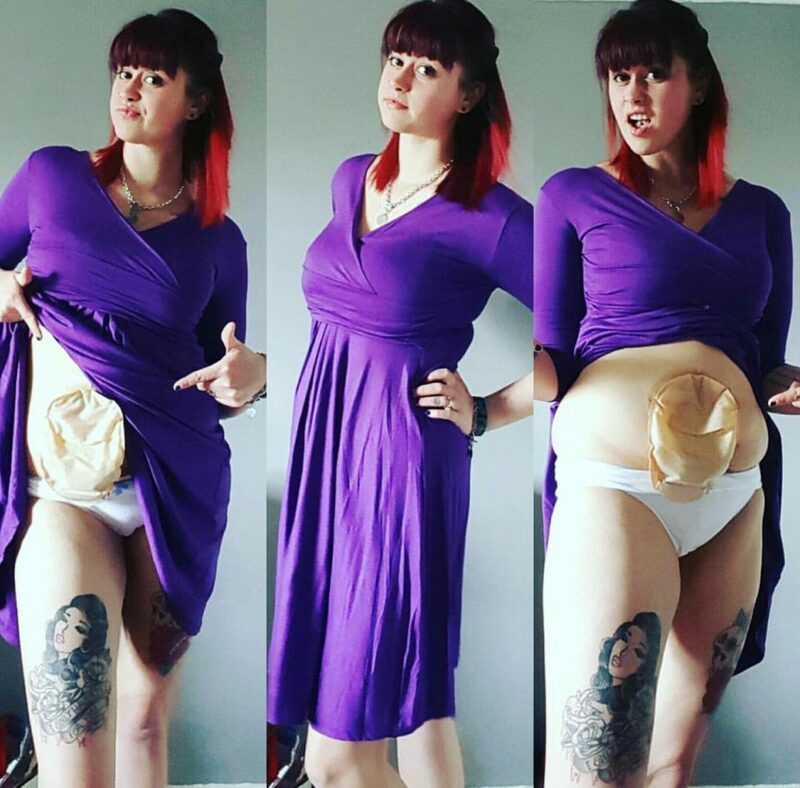 Wear something that supports your stoma, be it Comfizz, Vanilla Blush everyone is different. But at the end of the day hernia prevention is better than surgery. Use correct form so you don’t hurt yourself. Incorporate Core4 into your daily routine. Find something you enjoy, don’t let it be a chore. If running or weights aren’t your thing you have so many other options out there to choose from. Such as swimming, ice skating, walking/hiking, cycling, dancing and so much more. I personally enjoy dancing as well whether it is in front of my TV on the xbox with the curtains tightly closed (I look like bambi trying to dance according to my dad…) or taking part in zumba classes, which I havent done since before Ra-Ra was born. Fun fact I was in our zumba classes video entry for a worldwide competition back in 2011 pause on the farm. It really doesn’t have to be about fitness, toning up, losing weight either, it could be something as simple as just leaving the house for a change of scenery, a breath of fresh air. I know for a lot of people taking a group or a class can give you a social element and encouragement when things feel tough, we ALL start somewhere. You may make new friends too or even find others that have been through something similar. I wonder how many people heard of core4? I hadn’t until a couple of months ago if I’m totally honest with you. I recieve emails from Coloplast Care once a month I do believe, they ask you how you are feeling and then a couple of 1-10 scaled questions. I got asked a question about exercise and was offered a leaflet on the subject to be posted out, obviously I accepted and learnt about core4 when it arrived. I hadn’t heard of it before, my stoma nurses hadn’t mentioned it, but maybe they didn’t know themselves it makes no odds because core4 can be started anytime. They say it is a great starting point before surgery as strengthening your core is always a good thing, your core is like a waistband round your stomach, sides and back these muscles are pretty fundamental to your daily life. It can help you tone up and aid losing weight, having a strong core is also key to help prevent hernias – lets face it no one wants a hernia. You can do some of these exercises the day after surgery and working up to the others over a short period of time. You can start anytime, like I said it was months after my surgery when I did. What I like is I can do them all in bed either before I get up or go to bed. It is just 4 positions that range from breathing and engaging your core to bringing your knees from side to side whilst keeping your shoulder blades flat. It has been designed with everyone in mind no matter what your fitness or stage you are at. There is a video here on the Coloplast website in which they go into more detail and you get to see Thaila Skye without blue hair!! Please go check it out, if it’s the only thing you feel up to doing at least for now please do. The more hernias we can prevent the better!